So, you’ve determined that you need assistance or support. Now what? 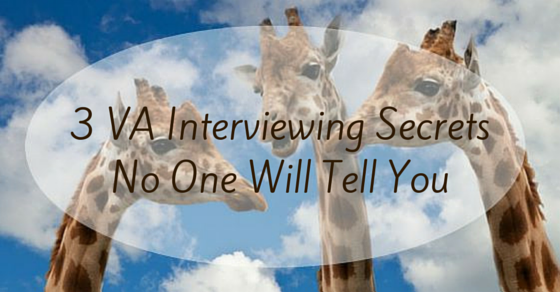 You’ve never interviewed anyone in your life. Selecting a caterer for your wedding 10 years ago doesn’t exactly qualify you to decide on an assistant. How does one go about determining who is the right fit for you, your needs, your business, your style, your voice, your tasks? You are busy. So busy, in fact, that you are often attempting (badly) to multi-task and feel that you’re drowning. You are overwhelmed with all that needs to be done. You realize that you need help managing the bits and pieces that, while not the core of your business, need to be taken care of or you will have no business to speak of. First, slow down. Hiring the wrong type of support because you were too distracted to interview or train properly will set you back many hours, resources and potentially cause a lot of tears (ok, let’s not get dramatic, but the wrong choice can be expensive and wasteful). 1. Identify (precisely) the role you’re hiring for. Think Jane and Michael Banks. Sure, they’re a bit cheeky, but they know exactly what they want and have spelled it out, from daily responsibilities to personality. Now, compare that to their father’s advertisement in the paper, and you have two juxtaposed job descriptions, illustrated well by the long line of traditional (yet scary) nannies at the door vs. Mary Poppins. Determine exactly what you are expecting to receive from your support person. Do you want this person to be an administrative resource, a marketing resource, a graphics resource, or a techie? Do you need this person to design a website for you, or manage a social media program? Do you require familiarity with a certain CRM or project management software? Looking for someone “who can do everything” will backfire. Support people have strengths and weaknesses, just like you. Some are strong in content creation, but will fail miserably liaising with clients. Some are WordPress experts but cannot format a spreadsheet to save their lives. Determine what skills are required, and what might be categorized as “a nice bonus”. How involved do you want this person in your business? By this, I mean – do you want him or her to react to tasks that you list and spell out (check my email twice daily and respond to routine inquires with these templates I’ve devised) or do you want a brainstorming partner who brings ideas to the table? Determining whether you’re seeking a proactive resource or a reactive resource is priority number one. Before you even launch your research on who might be the best fit for you – or which firm might provide the best resource for you – be certain about exactly what you’re seeking. Are you a joker? Do you have ADD? 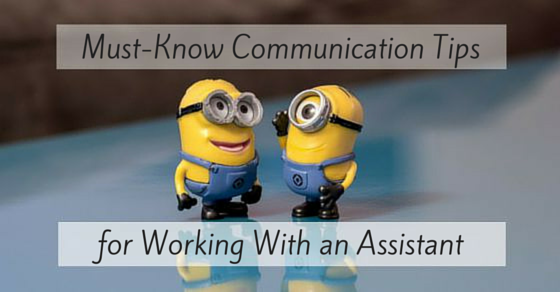 Will you require your assistant to manage you and make sure you stay on task? Do you delegate well? Will you require consistent response within 2 hours, 6 hours, or 24 hours? Would you rather give direction on the phone or via email? Do you want to get personally acquainted with your assistant, or are you more comfortable with a certain professional distance and formality? Are you casual and relaxed, or do you have a tendency to speak tersely when under pressure – do you need someone with a thick skin? Since you already know that everyone you’re interviewing is technically qualified for the job (or you wouldn’t be speaking with the candidate at all, right?) you are on that call to judge personality and culture fit. Look inward first. Examine yourself and your style. Is it important that the person supporting you can laugh with you, or will small talk make you uncomfortable? Do you come from a certain background or culture that you want your assistant to be able to relate to? For example, I used to work with someone with whom I made a Goonies reference (the Truffle Shuffle) and when she said “Huh?” I almost collapsed, I felt so old. The experience made me clam up, and I was less comfortable with my employee than I would have liked. This is a person with whom you are going to be interacting regularly – make sure you’re interviewing for style as well as technical qualifications. I’ve been in recruiting for 15 years, and I love it. In what other field do they actually pay you to be judgemental?! One of the most important things I’ve learned is to trust my gut. The candidate looks perfect on paper, and we had a productive conversation, but something isn’t sitting right. The little hairs on the back of my neck stood up for some reason – something I cannot identify. Everything looks right, but I’ll pass, thanks. About two years ago, I interviewed a candidate exactly like this – great background, great education, responsive, talented. We got off the phone and I kept shaking my head; I could not identify the problem, but there was one – of that I was confident. A few days later, I sent her a “thanks but no thanks” letter, and within five minutes, she responded caustically, accusing me (quite colorfully) of passing up the best thing that’s ever happened to my firm, promising me that I’d regret my decision and demanding an explanation. Confirmation that I had trusted my gut correctly – wahoo! If something doesn’t feel right, it’s not right. Trust yourself – this is (hopefully) going to be a long term partnership – be confident and comfortable with your decision. Selecting the right resource to support you in the biggest adventure of your life is worth investing your time, effort and energy. Be smart and proactive about it – it’s worth your time. I have a really lovely partnership client who provides a quality service I believe in. We’ve been working together for a few years now, so I’m pretty familiar with both partners’ writing styles, preferences and response times. You can imagine how shocked I was when I received no answer to an email query sent to Partner Number One, who usually responds within a few hours. I waited. My client’s client, with whom I was corresponding, was also waiting. I was ready to call emergency rooms, when Partner Number Two let me know that Partner Number One was on vacation in the Ukraine. The communication delay caused their client understandable frustration, which I would have preferred to prevent. I schooled my client in the workings of autoresponders, and we can now work side by side to prevent mishaps like this. Communication, communication, communication! 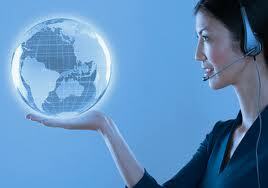 I have worked with virtual assistants (VAs) from many different cultures and from all over the globe. I also manage contractors located down the street from me as well as across the world. How do I do it? Just one word: Organization. No matter how organized I am, though, I find there are still some things that manage to slip through my fingers. That’s why I outsource and strive to find the “best person” for each job. But the best person for the long haul isn’t always easy to find. What I’m seeing more often, instead, is the “best person for the right job.” In order to work with a VA, I need to read between the lines and see who’s actually “getting” what I’m saying. Then I can determine who I think will be right for the particular job at hand. When I get “yessed” over and over again in an initial interview, I see it as a sign of things to come. This person is going to be so focused on pleasing me that he or she can’t see that “yes” isn’t always the right answer. Don’t be afraid to admit you don’t know everything. If you don’t know how to do something, take the initiative to get a manual, and read it. When you say “yes” to everything, you’re not being selective. If your boss hears you say “yes,” he’ll expect you to get it done. When it doesn’t get done or you get it done late, this will sour his trust, and could cost you the relationship. 2. Is your boss a maniac? Fire him! I’ve been told before that I’m irreplaceable. I know what I want done and I know how to do it – fast. Obviously, however, I can’t do everything myself – that’s no way to run a business. I have to delegate responsibilities to my employees. But if you can’t complete the assignment because I am unable to communicate what I need, then the problem is not you; it’s me. Bosses that have trouble articulating what they want done have no business delegating responsibility. And they certainly have no business assigning tasks, no matter how well they’re paying. So if your boss doesn’t know what he’s doing, cut your losses and get out. Find yourself a job working for someone who does. 3. Don’t be afraid to pass on jobs. When I first started out in web development, I took every job I could convince people to give me money for. But it was only when I took on projects that required the use of tools that I was comfortable with and was great at using that the quality of my work really shone. The whole reason for an interview is to put your best foot forward. But when you don’t consistently display that sparkle that got you hired, your luster wears off. You won’t feel good about the quality of your work and neither will your boss. It’s better to just be honest and say “I’m not qualified” than to end up taking a job that doesn’t feel like it’s the right fit for you – ultimately tarnishing not only your reputation, but your self confidence. 4. Learn the top tools, and learn them backwards and forward. The less training you need, the faster you can start being productive. I’m not talking about using gmail calendar or Basecamp here. I’m talking about the more interesting tools and techniques that can increase productivity. Don’t just say you know how to use Excel; learn to pivot tables to find trends. Don’t just use Mailchimp to send a newsletter; learn how to segment your lists so that you send repeat buyer newsletters only to buyers who purchased within the last 6 months. Don’t just use AWeber to capture leads; learn to set up an auto-responder campaign to automatically remain engaged with clients for months at a time. Don’t just use Google Analytics; Be able to show how many website visitors from your latest sales campaign placed their orders from their mobile devices. So how do you get yourself hired? When you’re interviewing, it all comes down to honesty. Know yourself, know what you’re capable of and know what you’re good at. (Also know what tasks you’re unable or unwilling to do!) When you walk in understanding your own capabilities and knowing exactly what you are and aren’t looking for in a job, you will immediately impress the interviewer. Just by talking to you, he or she will be able to see that you’re the real deal and the best person for the job. Jeff Mendelson is an Internet Marketer and web designer located in Ft. Lauderdale, FL. You can reach him at jeff@lasolastech.com. Write an E-Book. It’s not as intimidating as it sounds. One of my clients, besides being enthusiastic and entertaining (it’s always more fun to work with someone who loves what he does) builds and manages websites. As any top-notch website producer will do, he advised his client to advertise an initial free offering (IFO) to drive traffic and engage his audience. In case you’re not familiar with the term, an IFO is an offer for a free, informative download or takeaway from a website. It could be a niche market E-Zine, a report, an introductory webinar (not an advertisement, but instead, real content) or an E-Book. Any of these products, properly constructed and marketed, are great ways to authentically build a following and incentivize visitors to take advantage of the services offered. In exchange for the product, the site visitor submits his or her email address, which lands solidly on the newsletter distribution list. Enter the need to write an E-Book. In response to my client’s advice, his client turned right around and said “Great! Write it, will ya?” Promptly, I was assigned the task of coming up with a list of the topics to be covered in the e-Book and devising a proposal to bid out the freelance writing project. As I set about researching and writing the bid, I got more and more excited about the project – I wanted to write an E-Book myself!. Always one to take initiative, I decided to write up a sample introduction and pitch authoring the book personally! My client loved the intro and told me to scrap the freelancer proposal. “Get to work!” he said. 1. The first thing I have to say about the plan to write an e-Book is go out on a limb and don’t be intimidated. Step outside your comfort zone. I did – I’ve never written an e-Book before. Yes, I’ve published in newspapers and blogs, but an E-Book? New territory. So, you’ve never written a book before? Believe you can do it; then set out and prove it. 2. Before you begin, identify your goals: Who is your target audience? What is the purpose of your E-Book – what information are you presenting and how are you going to set it apart from other resources on the subject What are you hoping to accomplish when you write an E-Book? In other words, why should anyone read it? You’ll need an outline of all the topics you plan to cover, so you can get organized and to make sure you don’t miss anything. Once your outline is ready, you’ll realize that you also have your table of contents. The first page of your e-Book is complete! 3. It’s crucial that you connect with and relate to the topic of your e-Book. There’s a reason they say, “Write what you know.” If you know about it and you love it, you’ll be able to impart that enthusiasm to your reader. If you find yourself having to write on something that does not interest you but may interest your audience (say, shoelaces), try to find an aspect of the topic that you can relate to. Present it from that angle (for example, unique ways to tie your shoelaces, or fun and unique shoelaces on the market today). Write and E-Book that interests you. If you’re bored by your topic, your reader will be able to feel your indifference and you will alienate him. If you find a way to connect to your topic, and even get excited by it, your reader is going to feel your fervor, and reading your book is going to impart that buzz on to him. 4. When you know what you want to say, start writing. Some people say you can’t start writing a book until you have a title. I say, the title will come to you eventually. If you wait until you come up with the perfect title, you’ll never start writing. Staring at a blank page is intimidating. There’s so much to say – the looming task – write an E-Book – where do you start? People like to say, “Start at the beginning.” I say start wherever you want. If you can’t think of an introductory paragraph or even an introductory chapter, start with chapter two or even chapter five. Once you have some ideas on paper (or a Word document – does anyone write on paper anymore?) not only will you be less intimidated because you’ll see that you can do it and that some of the writing is already behind you, but you’ll get into a groove. The ideas will flow, you’ll have some momentum and it will be a lot easier to continue. As with any creative project, the most important thing you can do is create. It doesn’t matter what you write; you can always edit it later. 5. Make sure you format your e-Book in an easy-to-read, user-friendly way. You can download an e-Book template from the web. Separate the text into small sections with bold headers; too much text without enough divisions can be difficult to focus on. Break up the text with pictures (downloadable, often for free or at low cost, from stock photo websites), personal anecdotes, graphs and charts, bullet points, lists, and sidebars so your readers don’t get bored. Write an E-Book that is not only informational, but easy to read and visually pleasing. 6. Write an E-Book with a strong conclusion and make sure it links back to your website. Remember, as much as you want your reader to learn from your e-Book, your ultimate marketing goal is to drive traffic to your website and to convert this traffic into sales. So refer to your company several times throughout the text to ensure that readers know where to go for more information. You don’t want to convince them they need shoelaces and then have them end up buying from a competitor! 7. Finally, make sure you get your e-Book proofread before publishing it. You want it to look clean, professional, and error-free. Ask a colleague or friend to look over it for errors that you might have missed. 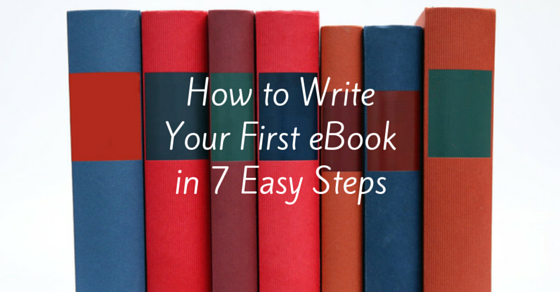 Once your e-Book has gone live, go ahead and add “author” to your resume. You now have one more skill!